WOO! I started the basic stitch guide (look for it as a link on your right!) The first page I did talks about the difference between the two knit stitches loomers use; the twisted stockinette and stockinette (normal). Yeah, I know people know, but I just wanted to reiterate the stuff that's already been said. It takes a bit of time for me to write these things and take pictures, so I don't know how long it'll take me to do the other ones. I have 2 lace knitting patterns I will post! I debated the second hat, because it's so pretty...and I forgot how I did the pattern. I still don't remember one row, so I will be posting that one second! Anyway, these 2 patterns will be coming your way soon, loom knitters! I knitted them both on the 41-peg loom, but they are easily able to be done (and more symmetrical) on the 40-peg looms. Apparently no one is able to fit into anything I make on a 36-peg loom unless you want your ears smashed, or have the hat zooming off your head. 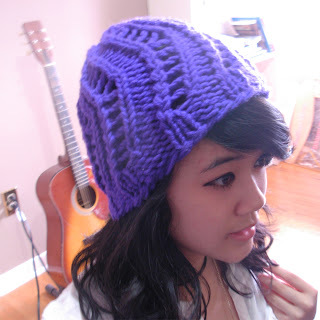 I don't know why, but this is such a simple hat, and this pattern really gets to me. I really love it for its simplicity, and I hope you love it too! I am bad at names, maybe I should start posting pictures on my twitter and asking people what I should name these things. 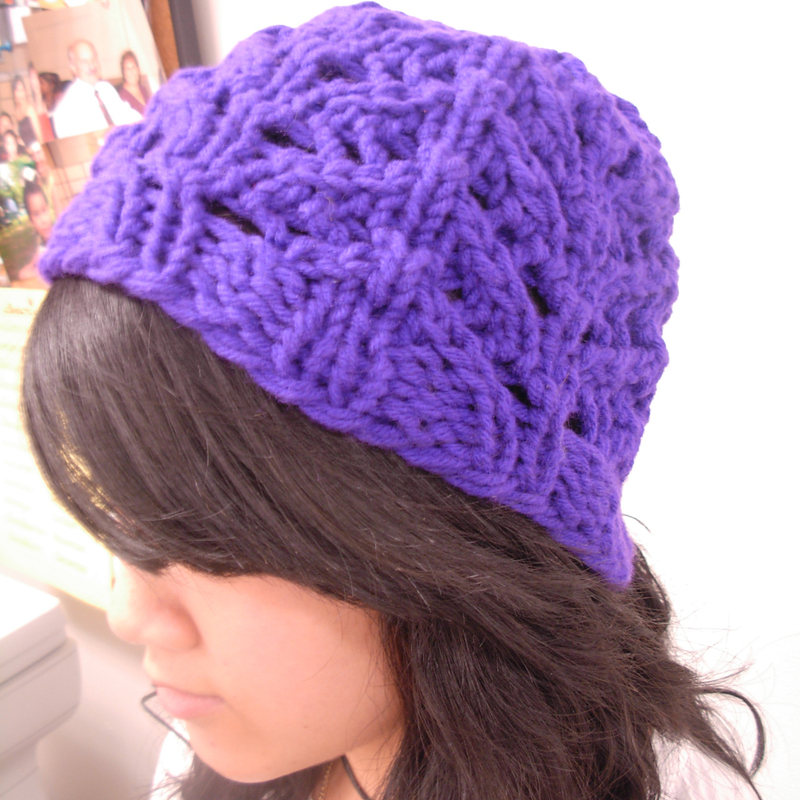 This name is deceptive because it's a ridiculously easy hat to knit.